Rick Kurtz, an experienced real estate educator, organizes seminars all across North America through his consulting and training company Resource Dynamics. By sharing valuable advice and strategies at Resource Dynamics events, Rick Kurtz aims to help others in the field to achieve high levels of success. His seminars address a variety of issues in the real estate industry, including customer relationship management (CRM) systems. A CRM system is a valuable tool for realtors. With such a system, the work of managing associations with prospects, current clients, and past clients is simplified greatly. The tools in a CRM system may include appointment scheduling, correspondence management, and information organization. A CRM system also may allow users to send automatic monthly emails to groups of individuals and businesses listed in the system database. Due to its ability to streamline many routine administrative tasks, identify trends, and monitor activity, a CRM system can be an excellent investment for any real estate business. 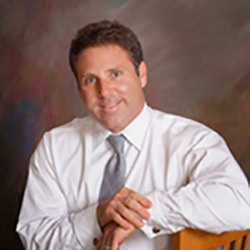 Rick Kurtz founded Resource Dynamics, a real estate training company, in 1986. Since then, he he has turned Resource Dynamics into North America’s number one training and seminar promotion company by developing his real estate productivity-training symposiums, seminars, and workshops.